This epic narrative poem is Dante's account of his fictional journey through hell, purgatory, and heaven with his guide, the ancient Roman poet Virgil. It consists of a trio of canticas-Inferno, Purgatorio, and Paradiso-which represent each stage of his journey as well as the importance of the number three throughout the work. Each cantica, or book, consists of thirty-three cantos, which added to an introductory canto, results in a total of one-hundred cantos. Each cantica follows a pattern of nine phases, plus one for a total of ten: nine circles of hell followed by Lucifer; nine rings of Mount Purgatory followed by the Garden of Eden; and, nine celestial bodies of Paradise followed by the Empyrean essence of God. Widely considered to be the preeminent work in Italian literature, this masterpiece helped establish the Tuscan dialect as standard Italian. 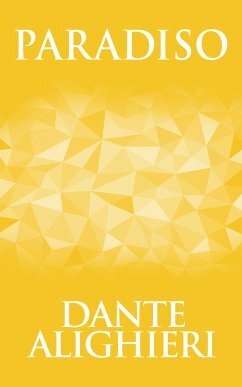 Dante Alighieri (1265-1321), a major Italian poet of the late Middle Ages, has been called the father of the Italian language. His classic masterpiece, The Divine Comedy, is widely considered to be the greatest literary work ever composed in Italian, and his writing has inspired a wide range of artists including sculptor Auguste Rodin, composer Franz Liszt, and numerous authors, such as Geoffrey Chaucer, John Milton, and T.S. Eliot.